Most of you have probably known me as an advocate for VitaMix, so why on earth would I be reviewing the Blendtec now? Let me share a story with you about how this BLENDTEC giveaway came about. When I was on vacation in New York City last November 2012, my girlfirend and I were surfing TV channels and happened upon one that was talking about Vitamix and Blendtec. It explained how Vitamix had copied another company's (Blendtec) mixing jar. That case was taken to court and the court agreed with Blendtec. Vitamix lost, and Blendtec from K-Tec, Inc. was awarded a multimillion dollar judgment. I almost had to pull my jaw up from the floor! 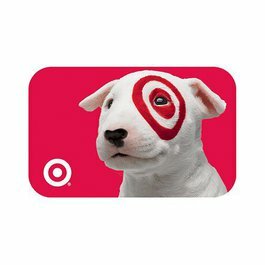 My friend and I looked at each other, and I asked her, "how can I promote a company that stole another company's design"? If you want the details, you can read more about this federal court ruling here. I will now be affiliating with Blendtec. Blendtec is offering their Blendtec Designer Series blender with a Wildside Jar and a Twister Jar as a Prize for this Red Hot Blendtec Giveaway! The winner can choose from a base that is Red, Black, White or Champagne and get a Wildside Jar and Twister Jar to use with the base unit. This Prize is valued over $500! Thank you Blendtec! You have got to watch this funny video from Blendtec: "Does It Blend?" 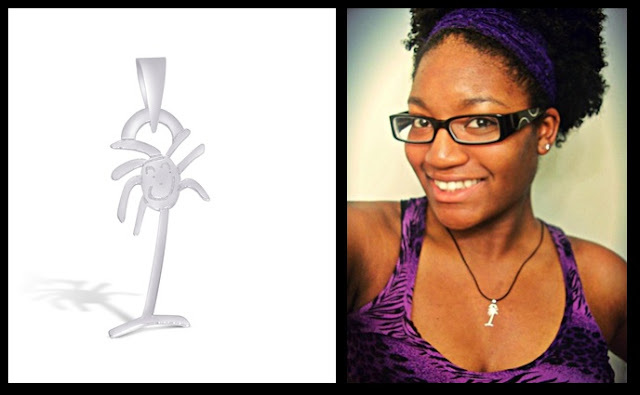 The Blendtec Designer came in one package with the Wildside Jar, Spatula, and 2 Cookbooks. The Twister Jar came separately. Both were packaged extremely well and nothing was dented or damaged. I was really excited about the cookbook that came with the Blendtec. It is spiral bound and hard sided and someone that is really into eating healthy has put down some fabulous recipes! The recipes are labeled as to whether they are Gluten-Free, Dairy-Free, Vegan, RAW and low sodium recipes as well as regular recipes that require wheat, meat and dairy. There are even recipes for exfoliating and skin care, plus recipes for your pet as well! The recipes also have nutritional and calorie counts. In addition there are recipes for making your own flour. You do NOT need a separate container to make flour like you do for the Vitamix. That is a huge plus in my book. And there are recipes for making your own nut milks. Speaking of nut milks...I decided to see how Blendtec compared with the Vitamix in making Almond Milk since I use alot of home-made almond milk. I was thrilled because the lid of the Blendtec is much easier to use than the lid on the VitaMix. Previously, I had to ask my husband to take the lid off the VitaMix because my arthritic hands could not unlock it. I was shocked at how powerful the Blendtec machine is in comparison. I do not soak the Almonds when I make Almond milk. I use them straight out of the bag. The Blendtec has pre-programmed cycles, so I pressed the cycle for the milk. This machine is fast and powerful! When the cycle ended and I poured the ingredients into the strainer I noticed the feel of the almond pulp was much finer than the other machine and the milk seemed to have more almond flavor. My next comparison was to blend a quick gluten-free bread. I couldn't believe how quickly this machine whizzed this mix together. I pulsed the Blendtec a couple times, scraped down the sides once and hit pulse again and it was done! The bread turned out fabulously and my husband loved the texture and flavor. I have to mention, again, how easy the lid is to handle on these Blendtec containers. I also like the wider container size that has the same volume as the taller Vitamix container. The Blendtec WildSide container is easier for me to handle. The Blendtec also fits on the machine and under my cabinets where the other machine does not. The Twister container is used for tackling thicker dough and comes with a small recipe booklet. There are recipes items that require high speeds or have heavy doughs such as Dairy-Free Ice Creams, pasta dough, pizza dough, nut butters and many other recipes. To test the Twitster Container I made the recipe for Whole Wheat Spinach Pasta but substituted gluten-free flour and I didn't have spinach, so I substituted cilantro. It was a very thick dough but I used the special spatula, Spectacula, as it is called, which made it very easy to remove the ingredients and very easy to clean the container. This dough was very easy to make with the Blendtec, and the noodles held up very well despite using gluten-free flour! My final thoughts on the Blendtec are that it is a more powerful machine than the Vitamix and you do not need a plunger to use with the Blendtec. I like the fact that I do not have to open the top of the lid to push down food when you use a Blendtec. It is very easy to use and I like the fact that Blendtec provides a separate container, the Twister Jar, to handle thicker projects. I also love the Blendtec lids. I can easily use them and remove them myself without any help. This fact makes it much easier for me to cook when I am at home alone. I also love the service that Blendtec has provided me in the short time I have known them. I am proud to be affiliated with Blendtec and I highly recommend them. 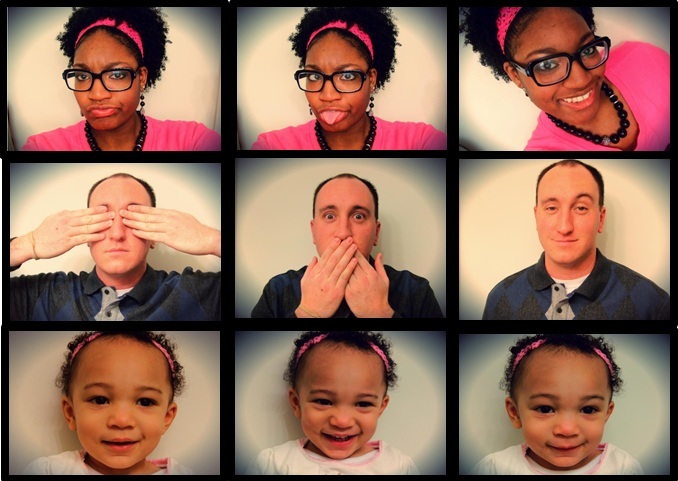 Most of the time I completely forget that James, Jasmine and I are so diverse. Sometimes we'll be snuggled on the couch, watching a movie or engaging in a tickle-a-thon, and I'll look down at our hands and realize how unique our family is. Other times we'll be out in public and I'll notice people staring; a not so subtle reminder that we're still something of a rarity. In the beginning, it made me angry. Now it just makes me smile. I smile because I know how beautiful we are. I smile because I know that somewhere out there, a lovely new"colorful" relationship is in that developmental stage and needs some reassurance that they are not alone. I smile because I have two special people in my life that give me a reason to Every. Single. Day. I happened upon this quote the other day. I'm sure at one point you've all heard that saying "Love knows no color." It's a great quote, but I don't feel that it fully captures the essence of love. This one does. So my question today is a simple one. One that you should ask yourself daily to remind you just how blessed you are. What makes you smile? 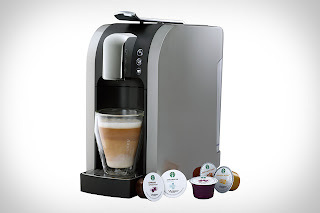 Hoorah & Hiccups Keurig, Verismo or Cash Giveaway! I absolutely love celebrating birthdays; I love getting all dolled up and celebrating the day loved ones, family, and friends made their way into the world. Well ladies, at the end of the week, yours truly will be 26! I know what you're thinking, I'm one year closer to 30. But to me, it's only going up hill from here! I've been so blessed and these past few years have truly reminded me of that. So to celebrate my birthday, I've teamed up with 28 other amazing girls to bring you one of my favorite things. 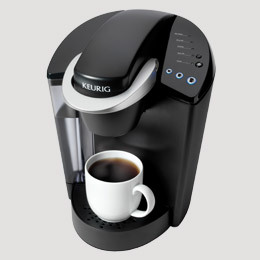 If there's one thing I CAN'T live without, it's my Keurig. Ask my husband, if I don't have my coffee in the morning, it's not pretty. So now one of YOU will be winning one! 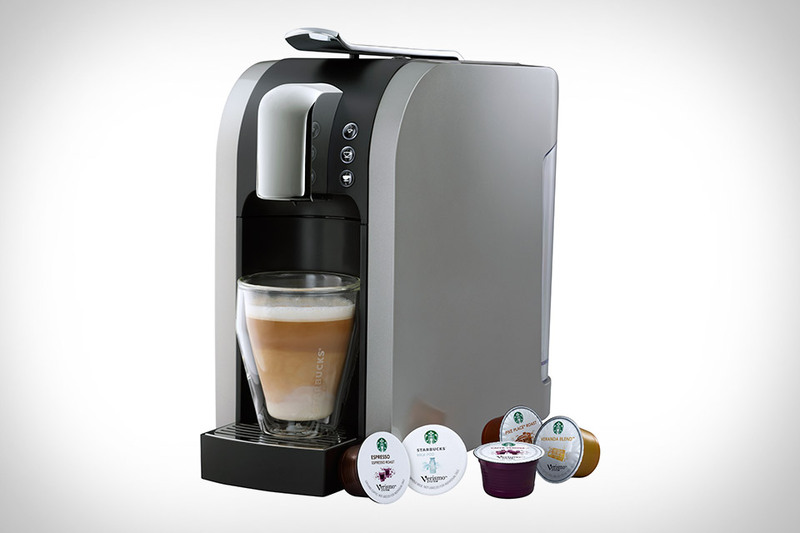 I haven't tried the new Starbucks Verismo but if you would like to choose that instead, your wish is my command. Not only can you drink coffee with these babies, but you can drink tea, hot chocolate, etc. So even if you're not a coffee junkie, there's something for everyone! Still not interested? How about winning the CASH instead? Excited now?! Just enter the rafflecopter below and cross your fingers! Contest will remain open until Friday, February 1st at 12:00 a.m. EST and the winner will be announced once all entries are verified. Hello lovely bloggers, as the first month of 2013 comes to a close, I'm looking for some new swappers to kick off the month of February with. If you're interested, check out my sponsor page and enter the code SWAPME at the checkout. Don't be shy, I don't care if you only have 2 followers or have 2,000, I would love to have you on my sidebar next month! Save Money. Make Money. Change Lives. Visit CampusBookRentals.com Today! Most of us who are currently in college, planning to attend college, or have previous attended college can all agree that textbooks are NOT cheap. This semester I dropped nearly $400 for USED text books. I've spent many a semester literally starving on campus because I had spent all my food money on textbooks. I do not kid. Last week I was contacted by CampusBookRentals.com. I'm sure if you're part of the blogosphere you've seen a few posts here and there. Well, I finally had an opportunity to check out their business a bit more and was pleasantly surprised at what I found. CampusBookRentals.com has an enormous selection of text books that you can rent at extremely affordable prices. You can save up to 90% on rentals. And fear not, you can still feel free to highlight your books, extend the return date deadline, and bonus: they ship free BOTH ways. Check out the video below for more info. Pretty awesome right? Well I'm not done. CampusBookRentals.com has a wonderful program that allows YOU to make money by renting your books to other college students. So once the classes are over, you can easily make back that money that you previously spent renting the books. That my dear friends is a pretty sweet deal. You can check out more about that program here. Still not enough? There's more. For every textbook you rent, they donate to a non-profit called Operation Smile. Never heard of them? I hadn't either. Operation Smile is an amazing organization that preforms life changing clef lip surgeries for children WORLDWIDE. So far they performed more than 150,000 surgeries in more than 60 countries. That's pretty extremely impressive, and is definitely the type of organization that needs our support. So in review, basically you get to rent super cheap textbooks, get to MAKE money by selling textbooks to your other students, and get to help change a child's life in the process. What are you waiting for? Check them out today! Note: I was compensated by CampusBookRentals.com for writing this post. However, this in no way affected my ability to write an accurate and unbiased review of the company. As far as tutorials go, this one is about as simple as they come. I'm sure you've seen similar ones floating around Pinterest, and with Valentine's Day approaching, me thinks these would make awesome and frugal gifts. Did I mention frugal?? 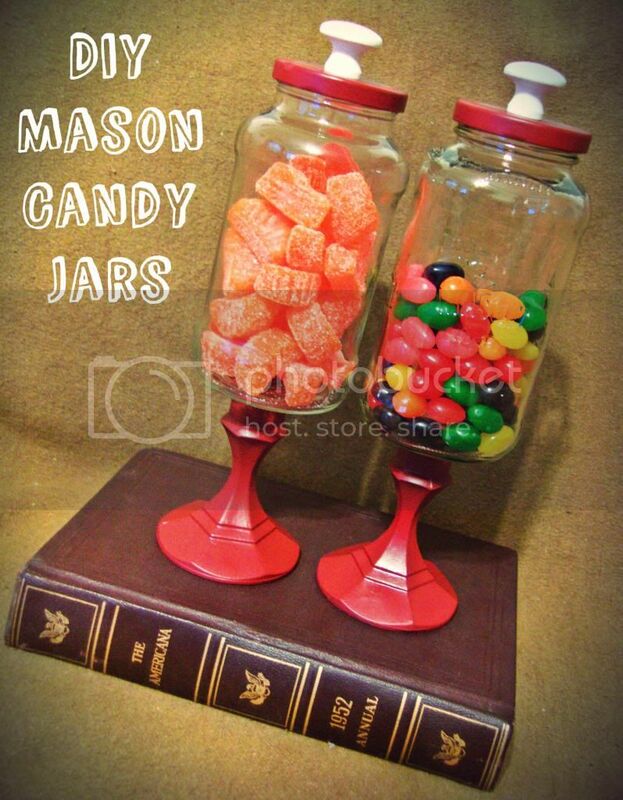 All together this project would typically cost about $12 for both jars, including the candy. However, because I already had most of the items from previous projects and I used the 40% coupons for Hobby Lobby and Micheal's (I always print a few every time I think I may possibly go in, or near one of those stores. MAJOR MONEY SAVERS), it cost about $5.00 instead. And a small knob. I wouldn't recommend anything fancy unless you're not going to paint it. Basically the first thing you're going to want to do is get started painting the candlesticks, lid and knob. Be patient because you're going to have to apply a few coats. Once that's dry, spray it down with some acrylic sealant and let fully dry. Next, you're going to apply the E-6000 glue to the top of the candlestick and carefully press the Mason Jar to the candlestick. Press down for a few minutes to give the glue time to start setting. I actually wound up putting a tin of oatmeal on top of the jar for about an hour just to ensure the jar didn't shift during the drying process. While that's drying, you can go ahead and glue the knobs to the lids. Finally (my favorite part) pick out your candy, and pour it into the jar, and viola, project complete. Now you can sit back admire how adorable these jars are. Unless you plan to give them away, in which case you can head to the store to pick out the perfect candy to compliment the perfect candy jar. If you guys decided to give this project a go, swing back by and let me know what you thought of it. Also, be sure to leave links so I can come by and check out your projects. BTW: Be sure to enter into my 1 year blogiversary celebration for your chance to win a Target Gift Card, $20 Credit to Shutterfly and More!!! Check it out here. I probably should have realized something was amiss earlier today when both of my professor canceled class, but alas, in my eager attempts to consume as much knowledge as possible, I heeded little warning and headed straight into the storm. Literally. If you are a fellow North Carolinian, then you know the weather has been a bit bi-polar as of late. Three days ago it was 77 degrees without a cloud in the sky. Today, it was 41 degrees, with Hulk like wind gusts up to 30mph. Oh yeah, and we're under a winter storm advisory. Yeah it was just like that today. Only there was no boat, and unfortunately no George Clooney. As I'm sure my fellow UNCC brothers and sisters did, when I found out classes had been canceled, I headed to the library to get ahead in my reading. (Yes, that was sarcasm, in case you missed it). After a few hours of light reading, I began to notice that the library was pretty deserted. So I decided to pack it up and head home to continue my studies. I stepped outside and was immediately greeted with, what at the time, I believed to be tiny pieces of shrapnel flying at my face. I later found out that it was only rain. After attempting to turn my usual 10 minute trek across campus into a 2 minute trek (with little avail thanks to the Hulk like wind gusts) I briefly holed up in the Fretwell building, trading storm stories with the other poor souls seeking shelter. After a few more minutes I headed back into the storm. As I stepped back into the fray, I immediately heard an ominous crack coming from my umbrella. I looked up in fear, and realized that the sheer force of the wind had snapped a spoke on my IKEA umbrella. Still, I pressed forward hoping that I could make it to my car in time. Seconds later, another gust finished the job and twisted my beloved umbrella as if it were no more than a pretzel. By the time I arrived at the car, my fingers were numb and I was completely soaked. And my poor IKEA umbrella, it definitely took one for the team. Poor guy. He went down fighting. Anyhow, I can definitely say that I learned some very valuable lessons today. Hard lessons that I feel obligated to share with you guys. Pay close attention to what I'm about to tell you. When two of your professors cancel class, in one day. There are a few things that I'll be tweeking throughout the week, but overall I'm pretty happy with the outcome, especially since it's my first. Hopefully my designs will only improve from here. Not that I'm planning on starting a business. I just think it's a cool thing to know how to do. Plus it can save you a few dollars, and as we all know, I'm all about saving some money. Now that this part is finished, I'm considering getting rid of my blogspot address and getting a dot com. Really I've been going back and forth with this for about 4 months, but I hate to have to basically start over again. I've worked really hard to get a relatively low Alexa score, and have been actively working on getting a PR 2. 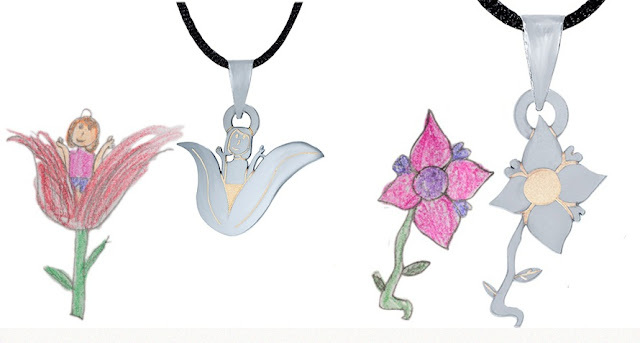 So for those of you who have nixed the blogspot part of your address, what do you think? Is it worth it? I have so many questions and concerns. I've heard that you'll lose all of your comments. That your page views will take a hit. I seriously hate that idea, but I feel like it's now or never. Please let me know what your experience was like. I'm in MAJOR need of some advice. This morning I decided to switch up my typical egg whites, turkey bacon and yogurt routine and hit my cookbooks for some breakfast inspiration. (I know, old school) I was not disappointed. 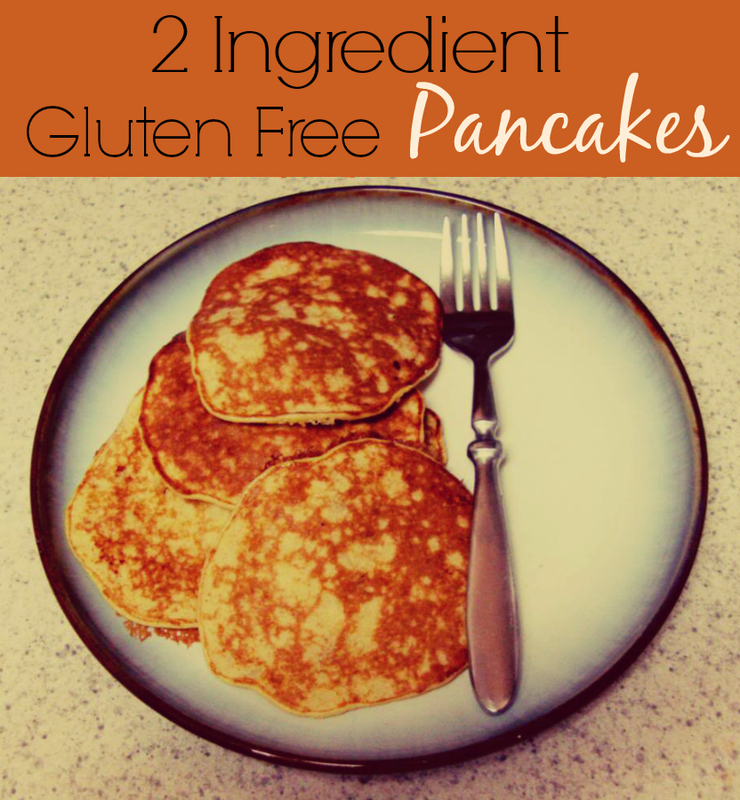 I came across a yummy recipe for gluten free pancakes and decided to give it a shot. They turned out so wonderful, I decided to share this super simple recipe with you all. The only ingredients you'll need for this delightful dish are two eggs and one ripe banana (I actually used 3 eggs and two banana because I was cooking for three). Mix your ingredients well. In fact, you may want to mash your bananas before adding in the eggs just to ensure that they are mushy enough. Once you finish with your mix, spray a little Pam in your pan and cook as you typically would. The added bonus with this recipe is that the bananas make the pancakes sweet enough, so no syrup is necessary. Once you're finished in the kitchen, you can sit back and enjoy your delicious gluten free, flour less, under 250 calorie pancakes. If you try them be sure to swing back by and let me know what you thought of them. Have any healthy breakfast ideas of your own?? Leave a link in the comment section below and I'll stop by and give your recipe a try. As you guys may remember a few months back I did a product review for Farm Rich. Their company has actually been around for quite a while, but it wasn't until a few years ago that I started to notice them popping up in the frozen food section of the grocery store. Still, I was hesitant to try it. Finally, I received an email from their company wanting to know if I would be interested in trying out their products and giving away a few to my readers. I did, and LOVED IT! I've never really been a fan of frozen foods, but their products are awesome. How awesome is that?? Of all the companies I've worked with in the past, hands down, Farm Rich has definitely been the best, (which I truly believed even before I got the extra swag). Out of everything I received, the most important thing was the handwritten letter of thanks. As bloggers, it's important for us to feel that the companies that we're promoting think of us as more than just a blog. Farm Rich does. Customer satisfaction is their number one priority, and they can rest assured that I am completely satisfied with not only their products, but their customer service as well. So, other companies, if you're reading this, you might want to take a few notes.